Better Call Bill Warner Investigations Sarasota Fl: Muslim Rest Owner Shakeel Khan Shot Assassination Style While Closing Up in Johnson City "Targeted Hit". UPDATE Friday April 5th, 2019, NY STATE POLICE MAJOR CRIMES UNIT to assist Johnson City NY police detectives in unsolved murder of Muslim Rest. owner Shakeel Khan. JC cops are receiving help from New York State Police investigators in the effort to find the man who killed a village restaurant owner. Police Chief Brent Dodge said "a lot of manpower" is being employed in the effort to determine who shot Shakeel Khan as he closed his Riverside Drive business Saturday night. Dodge said the state police major crimes unit, along with its computer crimes and forensic investigators are providing assistance. Muslim Rest Owner Shakeel Khan Shot Assassination Style While Closing Up in Johnson City "Targeted Hit". Shakeel Khan, 50, was shot and killed Saturday night March 30th outside his restaurant on Riverside Drive by a masked suspect wearing all black, this was a "targeted hit". Not very often that the owner of a restaurant is shot and killed while closing up and no money was taken. 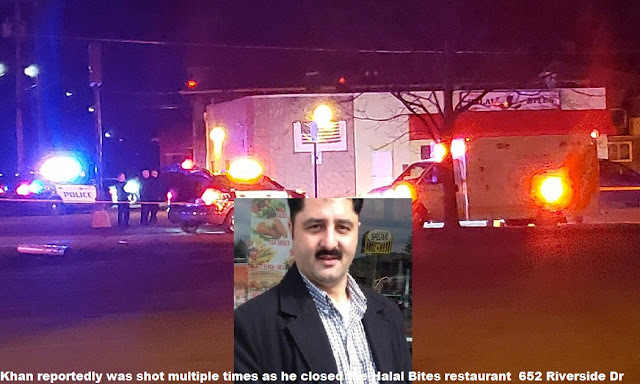 Khan was shot multiple times as he closed the Halal Bites restaurant at 652 Riverside Drive Johnson City NY around 10 p.m. Saturday. He died a short time later at Wilson Medical Center in Johnson City. It appears to me two or more people conspired to murder Shakeel Khan. There had to be surveillance of the restaurant, inside and out, they would have watched him close up and know his car in the parking lot in dry runs. I would estimate someone drove the masked man dressed all in black to the hit, waited and provided a quick get away for the shooter once Khan was down, this was planned. 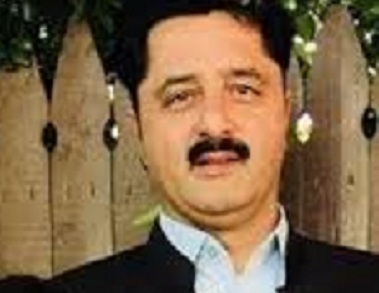 Shakeel Khan's dark mustache, he usually wore a warm smile. At Shakeel Khan's Johnson City restaurant, Halal Bites, the grilled chicken over rice was a fan favorite. Khan wasn't above handing out free food sometimes or catering at his nearby mosque. The father of three, a Pakistani native who came to the U.S. — specifically Brooklyn, New York — about 15 years ago and moved to Broome County about two years ago, is being remembered for his sense of community spirit. Khan, 50, was shot and killed Saturday night outside his restaurant on Riverside Drive by a masked suspect now being sought by Johnson City police. Imam Anas Shaikh of the Islamic Association of the Southern Tier, who knew Khan and his family well, says the most difficult part of this tragedy is trying to answer why it happened. Labels: Muslim Rest Owner Shakeel Khan Shot Assassination Style While Closing Up in Johnson City "Targeted Hit".